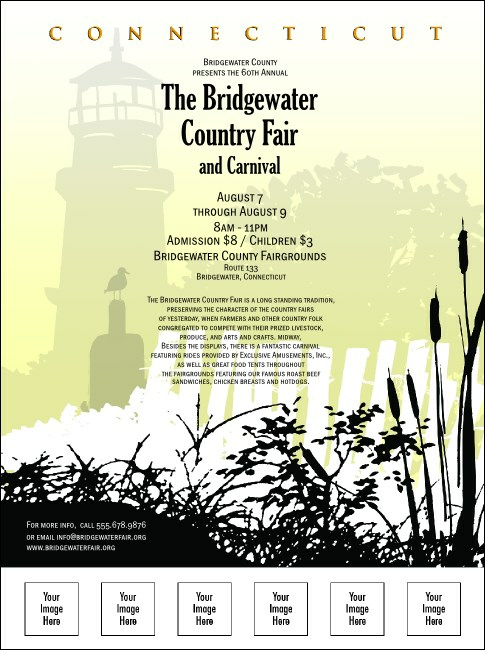 Reach Connecticuters far and wide when you announce your event in the Nutmeg State with the Connecticut Flyer. Featuring images of a historic lighthouse standing on the mist-shrouded shoreline, each Flyer features six spaces for your custom images or logos. Promote your event in the Constitution State with TicketPrinting.com.